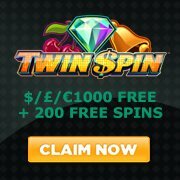 This agreement contains the complete terms and conditions that apply to your participation on PlayTwinSpinSlots.com (hereinafter referred to as the Site). This site is not the official site game nor is the site related to NetEnt. If you wish to use the site, including its tools and services, it is of paramount importance that you read these terms carefully. By accessing this site or using any part of the site, its contents, and its services, you agree to become bound by these Twin Spin Slots Terms and Conditions. Otherwise, you may not access the site or use any of the contents posted. In the event that any provision of these Terms and Conditions is found invalid or unenforceable pursuant to any judicial decree or decision, such provision shall be deemed to apply only to the maximum extent permitted by law; and the remainder of these Twin Spin Slots Terms and Conditions shall remain valid and enforceable according to its terms.